As Autumn descends upon us it time to think about harvest and the fruits of the season. Pumpkins seem to appear everywhere and soon I get to sample my favorite dessert, Pumpkin Pie. 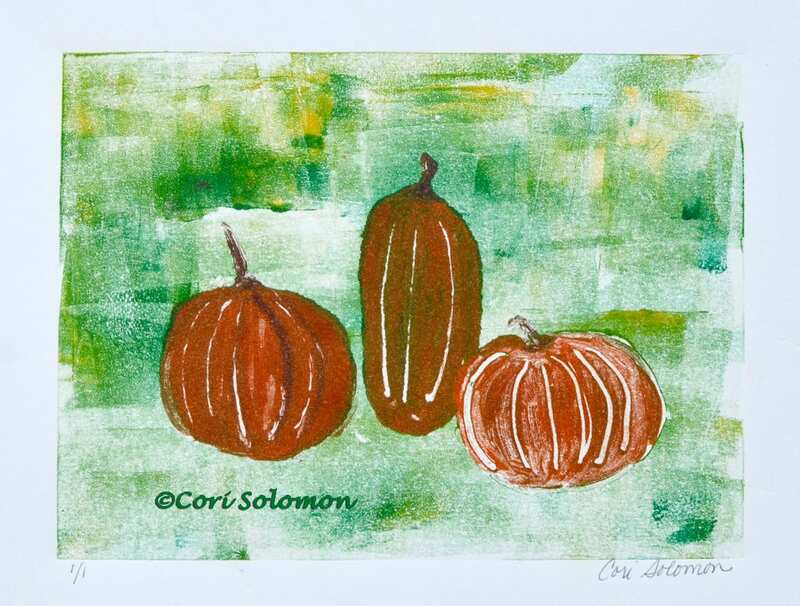 Honoring the season this Monotype depicts three pumpkins in a pumpkin patch. This artwork comes framed. 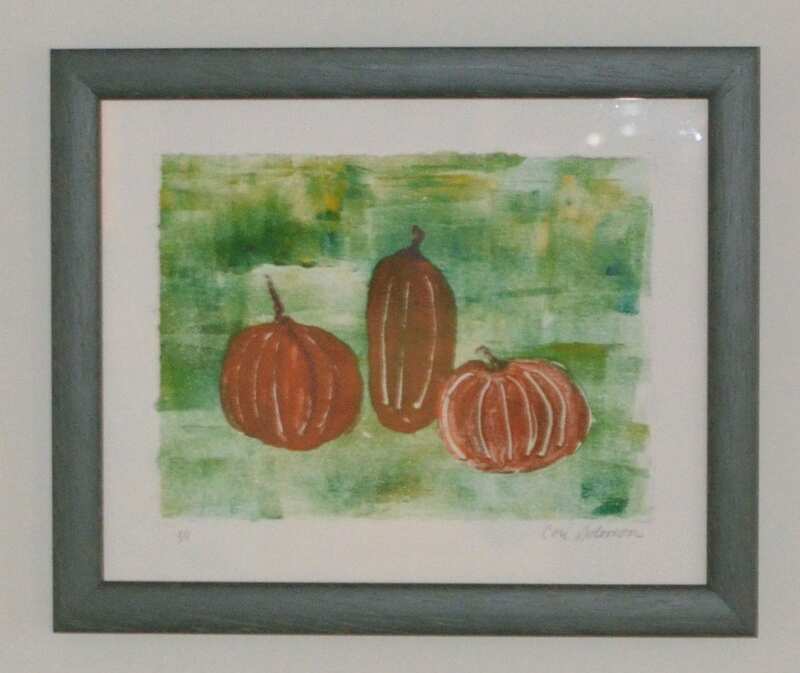 This Pumpkin artwork is available for sale. For more info or to purchase email Cori.